This is the best book I have ever read on the history of organised crime in America between the wars. As the title implies, Cohen is telling the story of the notorious Jewish gangsters of New York, and wondering why they have been so widely forgotten. People who think about the gangsters today always think only of the Mafia, and do not realise that many of the most violent and successful mobsters were in fact Jews. The main part of Cohen's story is set in Brownsville, a poor district of Brooklyn (which, as he explains, is where his father grew up) and focuses on the rise and fall of "Murder Incorporated"; a squad of professional contract killers that featured such luminaries as Abraham "Kid Twist" Reles, Martin Goldstein, Pep Strauss and Allie Tannenbaum, who in the 1930s efficiently carried out large numbers of assassinations on behalf of the top men of the New York crime syndicate. Linked with this, Cohen tells us of the rise of Arnold Rothstein, whom he calls "the Moses of the underworld": the man who first saw the possibilities of exploiting Prohibition to make enormous sums of money. The other featured characters are the duo of Louis Buchalter ("Lepke the leopard") and Jake "Gurrah" Shapiro, who began with extortion rackets in the garment industry and then moved on to heroin smuggling, and who had their own team of Jewish hitmen. 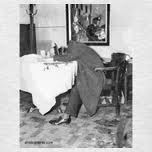 There are brief references to others: Arthur Flegenheimer (better known as Dutch Schultz), Abner Zwillman of New Jersey, and the biggest of the lot; Benny Siegel and Meyer Lansky of the Broadway Mob. Cohen shows how all these gangs in the 1930s worked in partnership with the new generation of Mafia leaders like Lucky Luciano and Frank Costello. He goes on to tell us how "Murder Incorporated" was broken by the authorities when Reles and Tannenbaum lost their nerve and gave evidence, how Lepke became the only major gang leader ever to be sentenced to death and executed, and how Reles then mysteriously fell out of a top-storey window whilst under police guard. Cohen wonders why there was only one generation of Jewish gangsters, and why they have been forgotten nowadays. He attributes it to the Jewish commitment to education. Like his own father, who rose from humble beginnings in Brooklyn to become rich and successful, only one generation of Jews lived in the slums and were drawn into organised crime: the next generation became lawyers and doctors and businessmen and moved out to the opulent suburbs. The Jewish gangsters were also determined to succeed, albeit in unorthodox ways. This is the classic press photograph of the shooting of Dutch Schultz in a restaurant in Newark, New Jersey in 1935. Note the stains on the tablecloth and the cop reflected in the broken mirror. The other gang bosses had decided Schultz was a dangerous loose cannon and must be eliminated. Two of Lepke's Jewish gunmen, Mendy Weiss and Charlie Workman, were later convicted of the murder. Footnote: For a more detailed and academic survey of the subject I can recommend Albert Fried: "The Rise and Fall of the Jewish Gangster in America". This is probably the source of much of Cohen's information.